Cinderella is a band who I can't quite remember why I bought an album of. I only own "Long Cold Winter" which I'll be reviewing now, but I can't for the life of me remember why I got it in the first place. Doesn't really matter I suppose, I've had this album for years (at least 15ish) and think it's absolutely fantastic. I've also been reluctant to purchase any of their other work. I like this album so much that I don't want to taint that perception in case their other work is only sub par. And so I contently enjoy "Long Cold Winter" ignorant of the bands career. What this album is, is simply great hard rock music with a bluesy edge and loads of hooks. There is not a bad song here and is a perfect blend of blues, rock and aggressive glam metal. Yet this album doesn't seem conflicted. It's packaged together harmoniously and each song carries me through in anticipation of the next outstanding track. 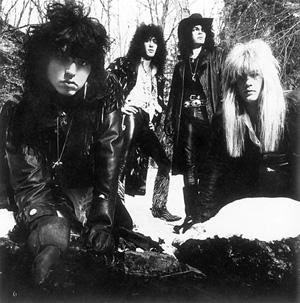 The bluesy steel guitar intro and Tom Keifer's gritty screech eases us into the raw and heavy bulk of the opening song "Bad Seamstress Blues". It showcases the blues influences that would become synonymous with the band as well as the melodic hard rock drive that got them started. "Take Me Back" which closes the album is another raw blues heavy tune, though not as aggressive. This song is more groove-laden and upliftingly catchy. A mix of "Bad Seamstress Blues" and "The Last Mile". "The Last Mile" along with "Gypsy Road" and "Coming Home" are all foot stomping rock songs that are uber catchy and melodic and fun. They feature great chorus's and some gospally stylings with keyboards and back up singers. Just great fun songs. 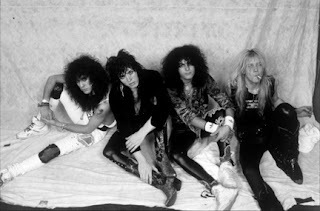 Their glam metal debut is not totally absent. "Second Wind", "Fire And Ice" and "If You Don't Like It" are all raw, heavy hard rock anthems with darker undertones. "Second Wind" features an atmospheric dark outro, "Fire And Ice" and "If You Don't Like IT" are bitingly aggressive and very raw. The ballads are both good and distinctly unique. "Don't Know What You Got" is straight up power ballad, but with balls. It's passionate, catchy and heartfelt with an Aerosmith feel. Great solo and the bands biggest hit. However, the title track is nothing short of moving. "Long Cold Winter" is a good bluesy ballad of the traditional blues sort. Great solo riffin' and sombre keys. Keifer's vocals are moving and emotive and shine here. It's a shame this song never got the attention it deserved. Although "Coming Home" is super catchy and gospally uplifting, my favourite song here is the spitfire "If You Don't Like It". The song is a galloping rocker and aggressively inspiring. This was a song I clung to the more I felt people didn't get me. It struck a cord, because I've prided myself on being and individual with a unique personality and sometimes that meant I didn't fit in well, but ~If you don't like it, I don't care!~ It's also a killer tune. This is Cinderella's best album (mind you it's the only one I've heard) but I feel strongly about the solidness of this effort. So if anybody wants to suggest some of the their other albums to me which may be better, try and put it in terms compared to "Long Cold Winter" because this is the standard I'll be judging their other albums on. Up next I'll be discussing Slaughter's (the hair band) sophomore album "The Wild Life" followed by the "Bill & Ted's Bogus Journey" soundtrack which will transition me into some heavier fare for September. 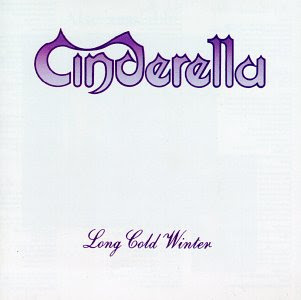 This was a huge album when I was in high school and this is definitely my favorite Cinderella record. I you're looking to get any other Cinderella albums, I'd go with Heartbreak Station next, then pick up the debut, Night Songs. 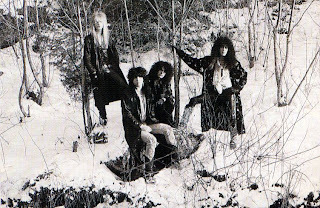 Still Climbing is more of a Tom Keifer solo record. Don't let their look on Night Songs fool you, they put on some good Hard Rock. One of the better bands of the '80s by far. P.S. 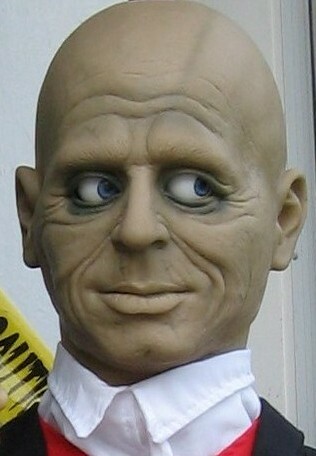 In your last post I really liked how you referred to him as "Mr Lordi". I think I'd definitely be calling him 'sir'! surprisingly, i love this type of music too! So Far, So Good ... So What ... Happened? Should Have Gone To Uncle Tom's Cabin. Thick Is The Skin, But Unoriginal To The Ears.